I've done another comic strip card for today's STAMPlorations Inspiration. I used The Bee's Knees SmallBirds set, and Sentiment Builders: Happy for my sentiment. Pop on over to the STAMPlorations blog for some more fabulous inspiration from the Design Team, and leave a comment for your chance to win a random prize. 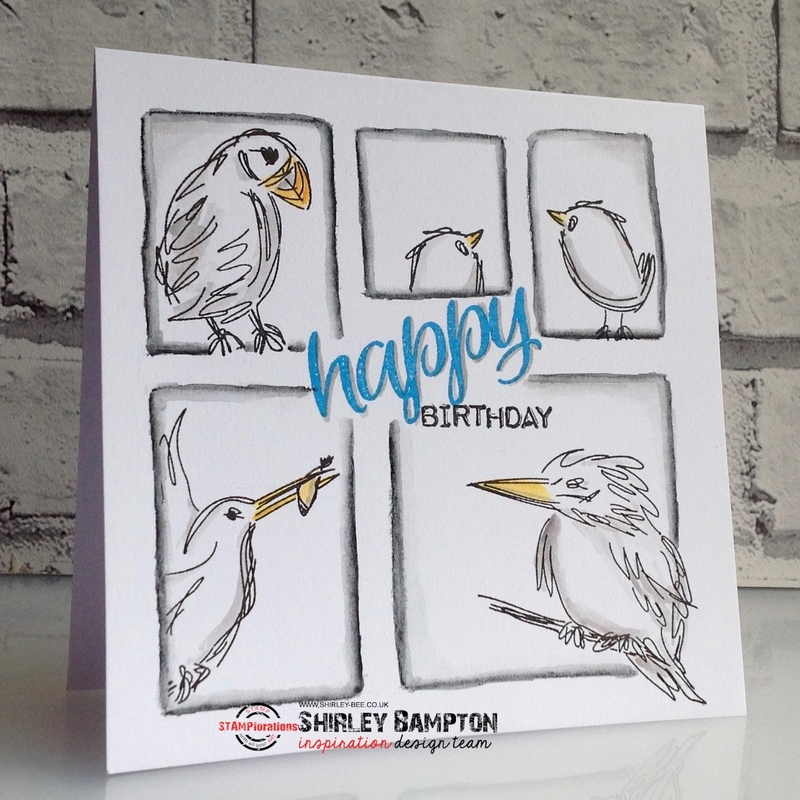 I'm entering my card into Simon Says Wednesday Challenge - Create With Critters. I want your card making brain - this is awesome!!!!! Fabulous card! Such a wonderful design! Love this! Such cool birds and what a fabulous design here! A.MAZ.ING! I just adore your bird set anyway, but the way you framed them all up --awesome! A delightful display of some of our fine feathered friends, 'delivering' a sweet birthday message! Nice pop of blue!